Multiple world-record holder Tom Bosworth says coming out publicly as gay has helped move his athletic performance to “another level”. 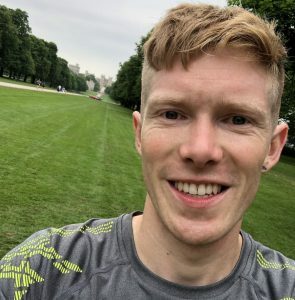 The Olympic race walker is also grateful for the supportive messages he continues to receive from other LGBT+ people around the world, as they motivate him to achieve his goals. Speaking on a new episode of the Level Playing Field podcast, Bosworth describes the struggles of his schooldays as a teenager in Kent in the mid-2000s, and several “dark” experiences related to anti-gay bullying. Later, as he looked to establish himself as an international athlete, he had to deal with the disappointment of missing out on qualification for the London 2012 Games, which he says was “the turning point in my career… it set a fire alight in me, to reach the next level”. 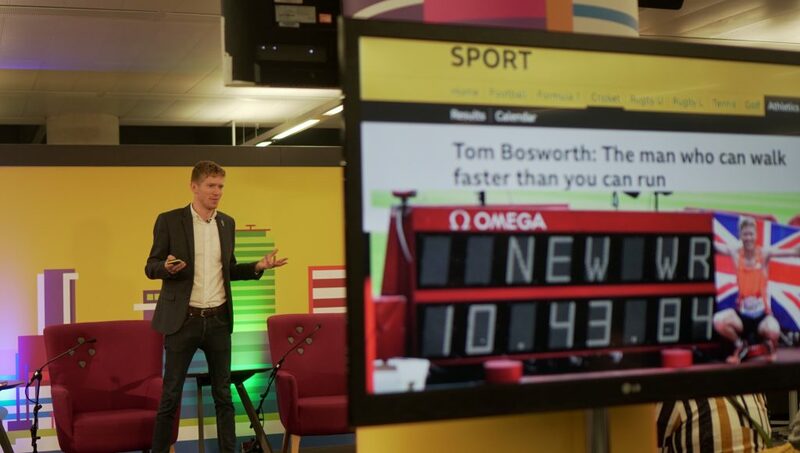 As part of that journey towards Rio 2016, Bosworth shared his personal story of being a gay athlete in an interview with the BBC’s Victoria Derbyshire in October 2015, making him one of the few out members of Team GB. He explains to podcast host Randy Boose that the consequences of coming out publicly have justified his decision to do so. “I never did it for money, or attention,” says the 29-year-old. “There’s so much social media coverage of sport nowadays, you have to have a story, you have to have something else to you. “That’s how it aided me really. It opened so many doors. People were interested in your experiences, because there’s so few international gay or lesbian athletes. “I have no regrets of doing it. I’m so glad I have done it because I can’t believe that I have been able to be a role model to so many people by accident. I’m just me, I haven’t tried to do anything different. Got a shiny 🥈medal. Months and years of hard work but it makes the sacrifices worth it. Let's do it again! Looking back, Bosworth says the benefits of being an out gay man in sport were far from clear to him at the time. Now, having won Commonwealth Games silver, and holding world race-walk records in the mile, indoor 3000m and outdoor 3000m events, he is able to look back on his 2015 BBC interview with a sense of gratitude. “The interviewer asked me whether I thought this would change my life in any way. I said, ‘no it won’t… it’s not going to change anything’. “Boy, was I wrong! It may be coincidence – my age, and when I was going to peak anyway – but from that season on, my results just changed and I moved on another level. “I tell people now, maybe there was that 5-10% of my energy that focused on hiding who I was on social media, at races, in interviews, rather than focusing on the result, training, the race, or recovery. “It was worrying about what people were going to think about my sexuality, that I didn’t even know I was wasting energy worrying about it. It’s only #olympicday! Possibly the best day of my life?! Never give up fighting for your dreams! Happy Olympic Day everyone! “That’s then gone, and 100% of my energy can be focused on training hard, racing hard, and hopefully winning. Listen to Tom Bosworth’s interview on the Level Playing Field podcast. Also available on iTunes.